10 Spring Things to Do in South Korea | Festivals, Events, and More! Spring in South Korea is when the country wakes back up from the cold. And instead of scrambling to find something to do during the winter, you can get outside and enjoy flowers, go for a road trip, enjoy fun events, and more. And if you’re into those things, spring is the best time to visit Korea. 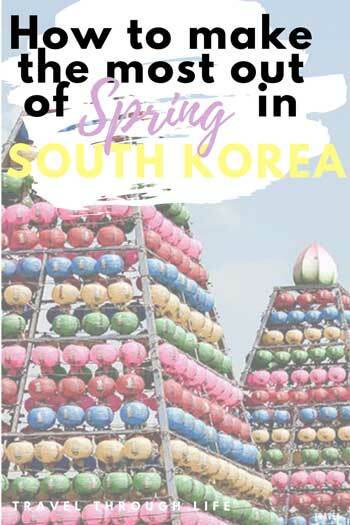 So when you decide to visit in March, April, or May, here are some fun spring things to do in South Korea that will rock your trip. Looking for somewhere to stay? Check here for the best prices and availability on hotels in Seoul and other South Korean cities. The Jinhae Cherry Blossom Festival gets busy for a good reason. Many people travel to South Korea for the beautiful spring flowers that pop up. 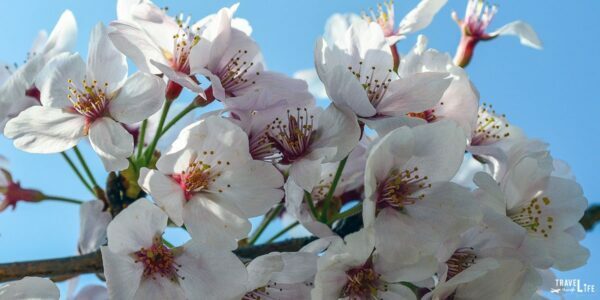 Flower festivals commemorate their return, and some of our favorites include the famed Jinhae Cherry Blossom Festival (April), the Gwangyang Maehwa Festival (March), and the Gurye Sansuyu Festival (March). 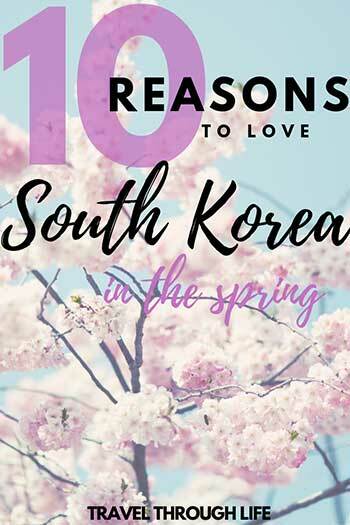 Bonus: Of course, don’t forget about the Taean Tulip Festival (April-May), the Gyeongju Cherry Blossom Festival (April), and the Yeongdeungpo Yeouido Spring Flower Festival in Seoul. Do you have a favorite flower festival in South Korea? Let us know about it! If you’re visiting Korea in March and you follow a crustacean-heavy diet, then you’re in for a treat. The Uljin Snow Crab Festival and Yongdeok Snow Crab Festival on the East Coast offer tons of fun events, including samplings, dances, and more. Guinsa Temple in Danyang County, Chungcheongbuk-do. Songgwangsa in Wanju (near Jeonju). Spending time at a Korean temple is something you can (and should) do any time, but spring is when paper lanterns begin filling them up in preparation for Buddha’s Birthday (April, Rotating according to Lunar Calendar). Some temples offer free food and tea on THE actual day (April 8, 2019), too. Our favorite Korean Buddhist temples and hermitages include Guinsa in Danyang, Hyangiram near Yeosu, Songgwangsa near Jeonju (there’s a more famous Songgwangsa near Suncheon, too), and Haeinsa near Daegu, but we could go on about more. Also, you can join a Temple Stay in Korea, which can be tough, but is an absolutely fulfilling experience that we did at Beomeosa in Busan. Looking for more insight into what the monks are eating, Wookwan’s Korean Temple Food offers a meditative cookbook for your soul and belly! Every year in March, the Jindo Miracle Sea Parting Festival commemorates a crazy phenomenon that takes place on Korea’s southwest coast. A “sea road” forms due to pebble and sand buildup and tons of people come to walk through it. There are tons of events, performances, and maybe a Jindo puppy or two make an appearance. 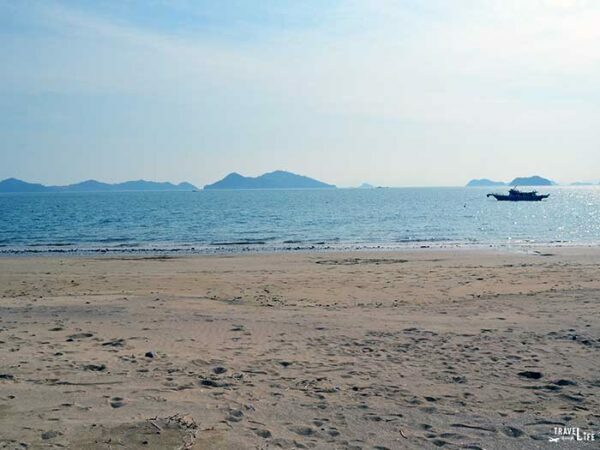 South Korea’s beach season officially begins on June 1, but you can still hang out on the sand during the spring. We loved grabbing some food and some beers (maybe some soju, too) for a day by the water with friends. Naksan Beach on the East Coast, Haeundae and Gwangan in Busan, and Jangdeung in Yeosu are our favorites. If you’ve ever traveled to South Korea, what’s your favorite beach? Most of Korea’s harvest-themed celebrations happen in the fall, except for the Jeju Fire Festival. This March event is meant as a large-scale prayer for a good harvest and good health through the new year. Plus, it’s on Jeju Island, which is a place you must visit for at least a weekend…or even longer! 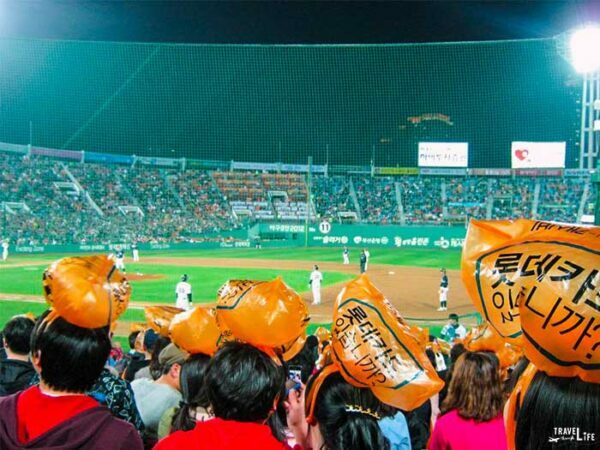 The Korean Baseball Organization (KBO League) gets started in March and is probably the loudest spring thing to do in South Korea. We’ve visited a few of Korea’s top league’s stadiums and can’t wait to go back. Just imagine a fun-filled atmosphere where you’ll sing songs, wear plastic bags over your heads during a rally, and more excitement. Of course, we’re not picking sides. Just know that we enjoyed ourselves singing and watching the Lotte Giants in Busan, the Kia Tigers in Gwangju, and elsewhere, too! Looking for some fresh air? 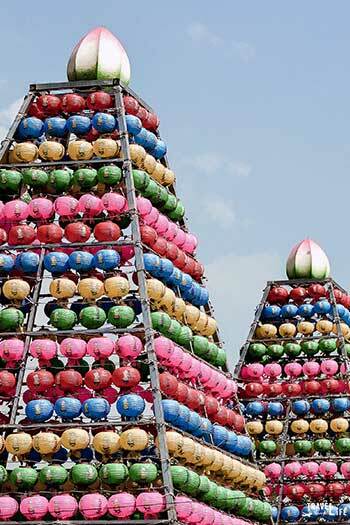 Head to Jeollanam-do for the Damyang Bamboo Festival (May) and you’ll get that and much more. You can walk through the town’s oxygen-boosting bamboo forest, but also enjoy events put on during the festival. Don’t forget to check out Damyang’s other fun spots, including the nearby Metasequoia Forest that we really loved! We spent a lot of time at Boseong’s Daehan Dawon Green Tea Plantation and our first visit came during the Green Tea Festival. There are a lot of events held, including a tea ceremony, candle making, and more. However, we always loved climbing to the top of the main plantation access area. 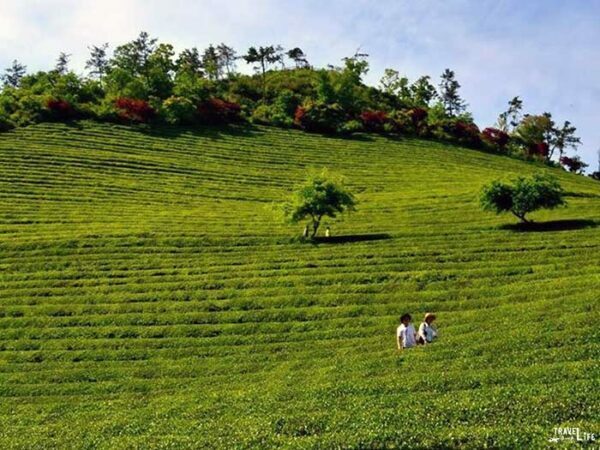 From there, you can stare down at the tea plants. Since Boseong is on the south coast, you can see all the way out to the water and beyond on clear days from up there. We also think you should visit South Korea during winter for the Boseong Tea Plantation Light Festival. Korean produce is pretty delicious, especially on the fruit side. And if you’re a fan of juicy and sweet ones, the Nonsan Strawberry Festival (April) is a great time. The small town in Chungcheongnam-do holds the event each year and you can pick strawberries, make jam, and do more things while there. We also had fun in nearby Gongju and Buyeo, going back in time to a previous era in Korea. Of all the seasons, it’s easiest to get overwhelmed with all the fun spring things to do in South Korea. Maybe it’s because the weather is getting better and everyone wants to enjoy themselves, but one thing quickly becomes clear. 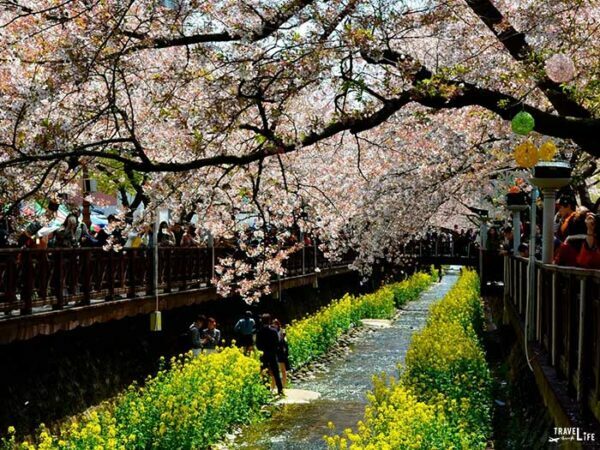 No matter what you’re looking for, you’re going to find a way to enjoy spring in Korea! Based on our picks here, which spring things to do in South Korea will you try first? If you’ve been to Korea and enjoyed some of these fun activities, which ones did you enjoy the most? We’d love to know in the comments section! 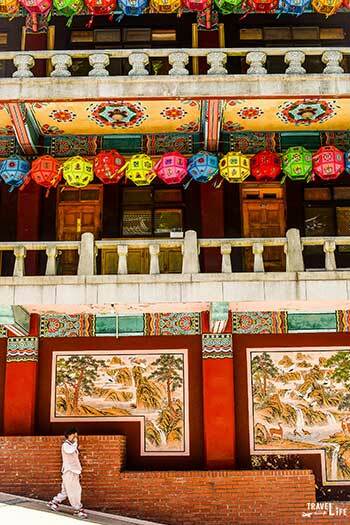 This travel guide is part of our blog’s series on South Korea Travel and East Asia Travel. It was originally created on April 1, 2014. It has been maintained and updated (as of February 3, 2019) to reflect current viewpoints and travel trends. Your suggestions all look good. I spent two weeks in Seoul in May a few years ago. While I was busy getting the most I could out of my visit, most of your suggestions are new to me. Obviously, I need to go back! I’d like to add one suggestion to your list, the Icheon Ceramics Festival which happens in the first two weeks of May. Icheon is a modest bus or train ride out of Seoul. If you like beautiful and practical ceramics, Icheon is the place to go. Thanks for stopping by. Definitely noted that Ceramics Festival in Icheon and will give it a look. Much appreciate and hope you can get back and enjoy Korea again.